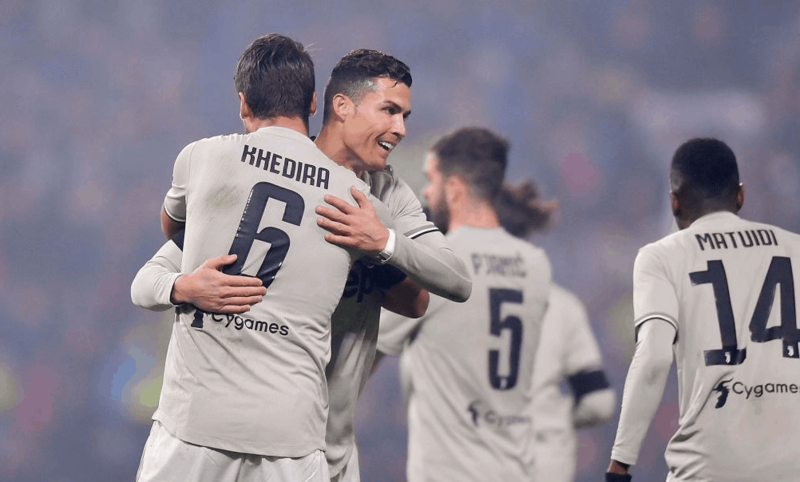 Juventus star Cristiano Ronaldo scored his 20th goal for the Serie A club as the unbeaten Italian champions moved 11 points clear of Napoli in Serie A. After scoring his goal, Ronaldo sought out Paulo Dybala on the bench and proceeded to perform the Argentine’s trademark “mask” celebration. Dybala scored 22 times in Serie A last term but has scored just twice in 20 appearances in the league this season. He played just seven minutes on Sunday.